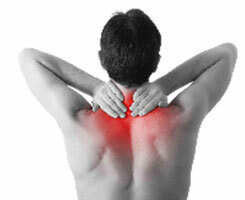 Eliminate lower back pain and promote healing with massage therapy provided by experienced professionals. Our team will help you feel better, heal faster, and enjoy lowered levels of stress. Massages are one of the most effective natural stress relief activities one can enjoy at work. Our office massage services enable employees to relax, feel less pain, and be more alert during business hours. THERAPEUTIC INNOVATIONS has more than 30 years of experience, including serving as the massage therapists for the Philadelphia Freedoms Professional Tennis team. We are focused on providing a full range of comprehensive and collaborative treatments designed to address your specific needs. Our repertoire includes nearly every traditional and innovative treatment, all shown to promote healing, flexibility, and pain relief. By working with your physician in Philadelphia, Pennsylvania, we are able to create targeted plans that help you recover motor skills following an injury or surgery, thus shortening the recovery time. Our founder worked at Saint Agnes Burn Center as a therapy aid for eight years. She enjoyed working with the doctors, therapists, and patients. There was always a new adventure. She decided to continue in this field, choosing massage therapy after seeing someone else performing massage on a patient. It was then that it hit her that this field could provide for her family, and be something that she and her children could be proud of.